JNTUK B.Tech 4-2 Sem (R13) 2nd Mid Exam Time Table March 2019, jntu kakinada IV year II sem r13 regulation II mid quiz examination time table 2019. 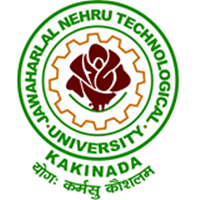 Jawaharlal Technological University (JNTUK) has released B.Tech 4-2 Semester R13 Regulation 2nd Mid Exam Time Table March 2019. In JNTUK Every Sem has 2 Mids. This is 2nd Mid Examination Time Tables for b.tech and b.pharmacy Students. As per ‘R13’ academic regulations (for the students admitted from 2013-14 onwards) the distribution of internal and external marks in respect of theory subjects is 30 marks and 70 marks respectively. Sir as elections are on April 11 we have to go our home town and how can we have exam on 13th so please change the Sem dates sir/mam. Please inform me when the sem starts for r13 and the time table. when will the exams start plz give information regarding 4-2 sem for R13 , we need to plan in advance, why are u delaying the time table already all other jntu has given their time tables.